We strive to provide the best online dictation tool by engaging cutting-edge speech-recognition technology for the most accurate results technology can achieve today, together with incorporating built-in tools (automatic or manual) to increase users' efficiency, productivity and comfort. 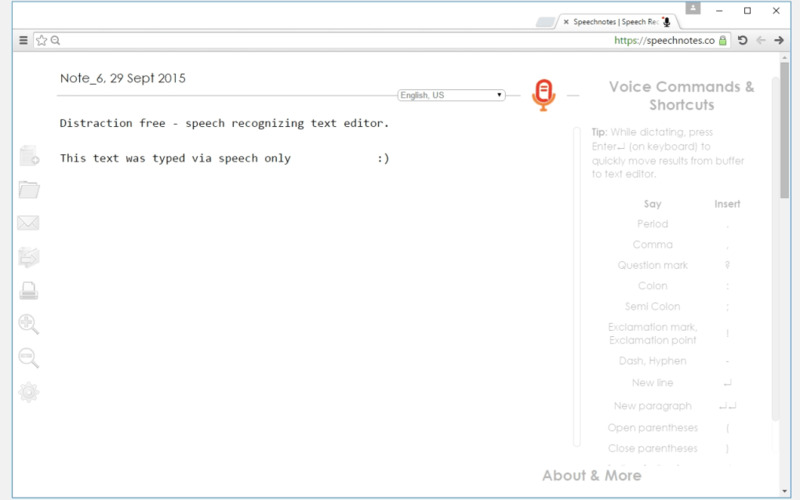 Anyone who is tired of ordinary key-typing might find Speechnotes useful. It might also be helpful specifically for people with difficulties in typing. Transcribers (from students to professionals) will find Speechnotes super helpful, as they can listen to a recording and repeat the speech into the mic, to get Speechnotes to transcribe it for them. 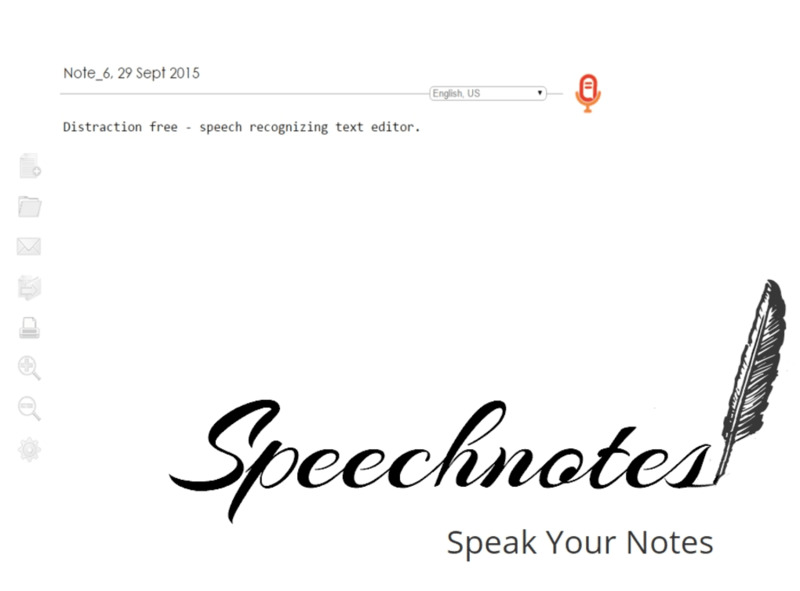 Speechnotes is open the voice function of a powerful online notebook. Speechnotes is open the voice function of a powerful online notebook, by using simple and efficient design to help you think, so that you can focus on your idea. Great tool. Very accurate & easy to use.. Very accurate & easy to use. In many ways, outperforms Dragon NaturallySpeaking and Apple's Dictation. What do you think about Speechnotes? Do you recommend it? Why?